“American Odyssey,” which premieres on NBC on April 5, 2015 and will air on Sundays at 9 p.m. CST, also stars Treat Williams, Elena Kampouris, Adewale Akinnuoye-Agbaje, Orla Brady, Connor Trinneer, Sarah Wynter and Daniella Pineda from director Peter Horton (“Grey’s Anatomy”) and writers Adam Armus and Kay Foster (“The Following”). To win your free “American Odyssey” passes courtesy of HollywoodChicago.com, just get interactive with our social media widget below. That’s it! This advance TV premiere is on Wednesday, March 25, 2015 at 7:30 p.m. in downtown Chicago. The more social actions you complete, the more points you score and the higher yours odds of winning! Completing these social actions only increases your odds of winning; this doesn’t intensify your competition! Deadline: Entries can continue being submitted through Tuesday, March 24, 2015 at 5 p.m. CST. These Hookup winners will be awarded via e-mail that night. From writer/director Peter Horton (“Grey’s Anatomy”) and writers Adam Armus and Kay Foster (“The Following”) comes “American Odyssey”. The new drama is a complex journey through global politics, corporate espionage and military secrets involving three strangers who only have one thing in common: the truth. In this “Traffic”-like action/drama, an international conspiracy explodes when the lives of a female Special Forces soldier, a disillusioned corporate lawyer and a political activist from a privileged family unexpectedly collide. After a team of American soldiers battles jihadists in North Africa, they’re shocked to learn that they’ve stumbled upon and killed Al Qaeda’s top commander. Sgt. Odelle Ballard (Anna Friel, “Pushing Daisies”) – a soldier, mother, wife and the unit’s only female member – discovers computer files proving that a major U.S. corporation is funding the jihadists. But before she can tell anyone, her team is attacked and killed. The world is told that the unit was wiped out by enemy militants, but the truth is that Odelle survived and is the only witness to her unit’s true assassins: private military contractors Osela (think “Blackwater”). As Odelle struggles to survive and find her way home, in New York former U.S. Attorney turned corporate litigator Peter Decker (Peter Facinelli, “Nurse Jackie”) finds himself embroiled in a merger with the same company that funded the jihadists. As Peter begins to connect the corrupt dots of this company’s terrorist involvement, Harrison Walters (Jake Robinson, “The Carrie Diaries”) – a political activist and trust fund kid – meets a hacker, Bob Offer (Nate Mooney, “The Riches”), who claims to have unearthed a massive military industrial complex conspiracy. Bob has stumbled onto the same cover-up that Odelle discovered, which will soon become a national headline with lethal implications. The only way they’ll ever save their country, their families and themselves is by joining forces and exposing the people behind it. 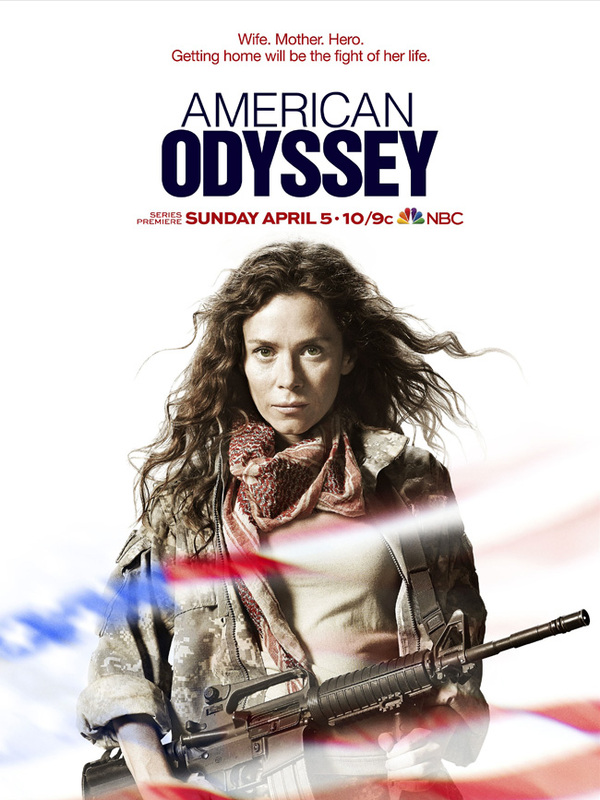 “American Odyssey” is a Universal Television, Fabrik Entertainment and Red Arrow Entertainment production. 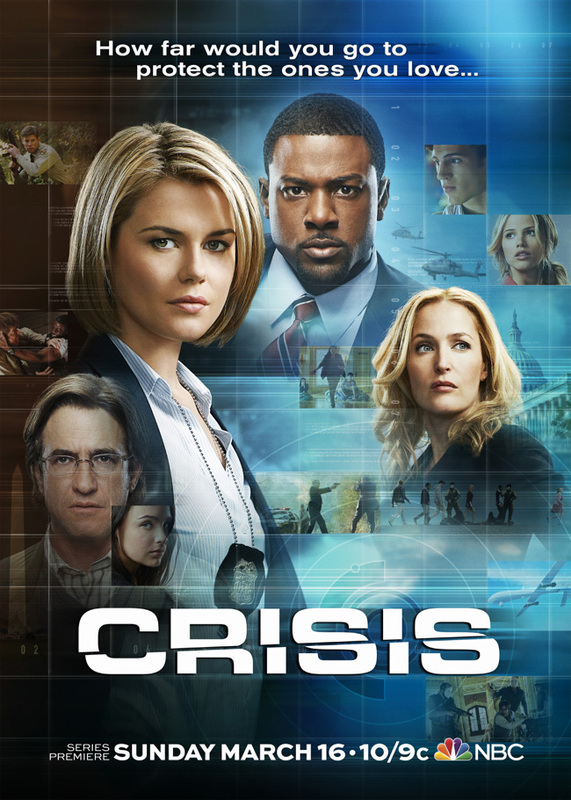 The series was created by Peter Horton (“Grey’s Anatomy”), Adam Armus (“Heroes”) and Kay Foster (“The Following”). Mikkel Bondesen (“The Killing”), Henrik Bastin (“Bosch”), Kristen Campo (“The Killing”) and Simon Maxwell (“Off the Hook”) serve as executive producers along with Horton, Armus and Foster. The movie poster for “American Odyssey” starring Anna Friel and Peter Facinelli. This HollywoodChicago.com Hookup is simple! Just get interactive in our social media widget above. We will award 100 pairs of TV premiere passes based on social entry numbers and/or randomly via e-mail for our “American Odyssey” Hookup. Good luck!